A worker walked the site of new ecofriendly apartments being built in Allston Monday. The tenants include doctors, lawyers, and computer engineers. It is likely that few college students live there. Soon, the bar around the corner, a longtime haunt for neighborhood twentysomethings, will be replaced by a to-be-determined “high-end” business or “something more tame,” as the new owner puts it. This slice of Allston, bordering Brookline, is growing up. Although the change has been confined to the small area so far, it is raising the specter that gentrification may be creeping into a neighborhood long defined as a haven for students, young artists, and cheap living. Some fear that the area could lose some of its gritty charm and that proposals for upscale shops alongside the pricey new housing may cause neighboring apartments to become unaffordable to current tenants. Still, most here welcome the changes or are at least cautiously optimistic. The redeveloped properties badly needed a facelift, proponents say, and improvement does not mean the neighborhood has to sacrifice its identity. She said there is a natural fear that upgrades will cause some residents to be priced out. “You don’t want to turn Allston into Chestnut Hill,” Pasquale said. But she is confident the neighborhood’s “strong voice” will not let that happen. “In the 40 years I’ve been here, the spirit of Allston has never changed,” she said. The Mount Vernon Co., a real estate and development firm, is single-handedly responsible for transforming the area, which runs along Commonwealth Avenue and Brainerd Road, between Redford and Griggs streets. 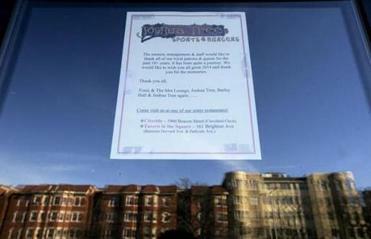 The firm bought its first property here a decade ago: two apartment buildings, which each received extensive makeovers. Over the past three years, the company invested more than $100 million in the two-block area. Tony Habchi, son of the owner of Natalie’s Pizza, said the bar’s closing may prompt the pizza parlor to expand its delivery zone. It bought and renovated four connected apartment buildings and four abutting ground-floor storefronts and built three new apartment buildings, the last of which is set to open in August. Mount Vernon christened the area the Green District for its efforts to meet top environmental standards. There are solar panels, roof decks with grass made of recycled materials, super-insulated windows and walls, and purified-water-refilling stations to discourage bottled water use. The company also urges tenants to use on-site bike- and car-sharing services. Last week, Mount Vernon announced it was buying the 10,000-square-foot Joshua Tree bar, which abuts the housing district. The bar threw a final bash on New Year’s Eve before closing the next day. “We paid more than we wanted . . . to serve a higher purpose,” Percelay said, declining to reveal figures because the deal is not expected to close for a few weeks. But regarding the goal for the space, which is frequented by college students and recent grads, he said, “we wanted to eliminate something we see as detrimental to the atmosphere we’re trying to create on that block,” he said. Percelay said several businesses are interested in leasing the space. “Ideally, it will be a specialty grocer,” he said. But not a late-night bar or “alcohol-driven” business, he added. The bar’s departure has prompted one local merchant to consider a new strategy. 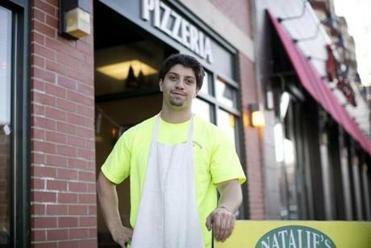 Natalie’s Pizza has traditionally catered to late-night patrons as they exited the adjacent bar. “Without the bar next door, they’re going to be partying other places,” said Tony Habchi, son of the owner. To make up for that, the pizza parlor may expand its delivery zone, he said. 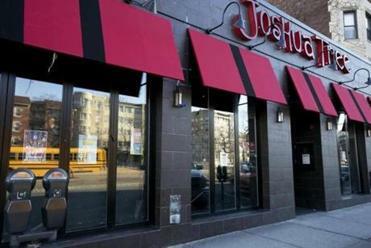 The Joshua Tree bar, which abuts a new housing district in Allston, threw a final bash on New Year’s Eve before closing the next day. He said the new Green District residents nearby seem to fit the clientele he wants to attract. Some in the neighborhood, however, expressed concern about gentrification near Allston’s border with Brookline. 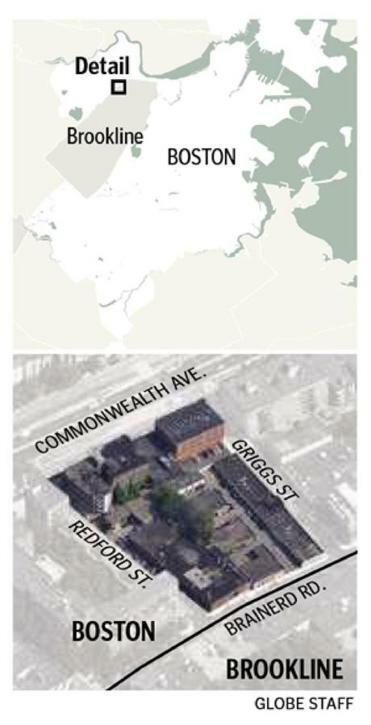 “There are not an equal number of affordable or even moderately priced units being built,” said Valerie Frias, associate director of the Allston Brighton Community Development Corp.
Ishay Grinberg, head of Rental Beast, a Somerville company that tracks the local rental market, was surprised to see the completed Green District apartments rent quickly. 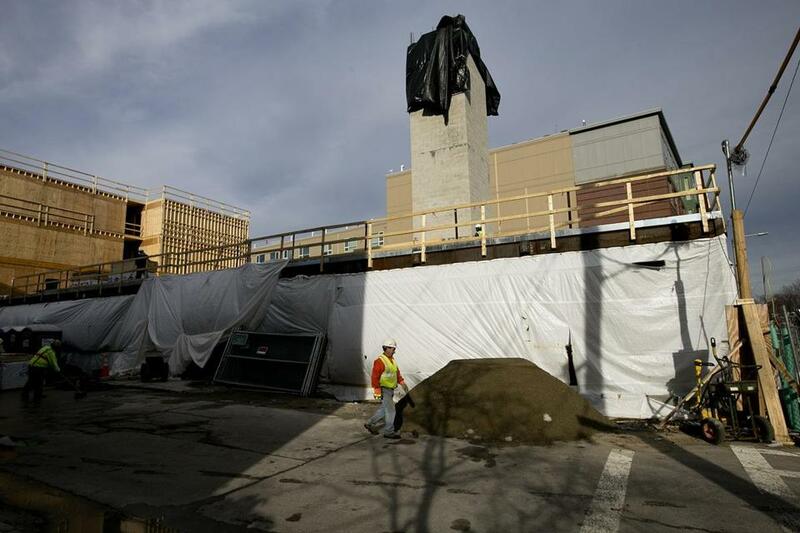 “Historically, someone who wants to pay that kind of money is not looking in Allston,” he said. Many in the neighborhood welcome the changes. “This is a really exciting time for Allston,” said Alana Olsen, director of Allston Village Main Streets. “The challenge is how do we take some of those positive aspects and help spread them to other areas of Allston,” she added. Dawn Rathi, 30, and her husband moved from Chicago two summers ago and initially hunted for an apartment in the Back Bay and Cambridge, but said they could not find anything affordable. So they settled in one of the Green District buildings, even though Rathi said the units are a bit pricey.